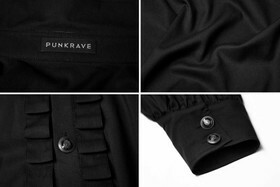 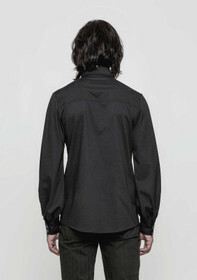 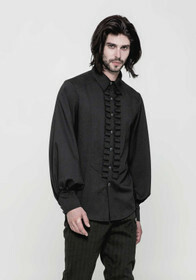 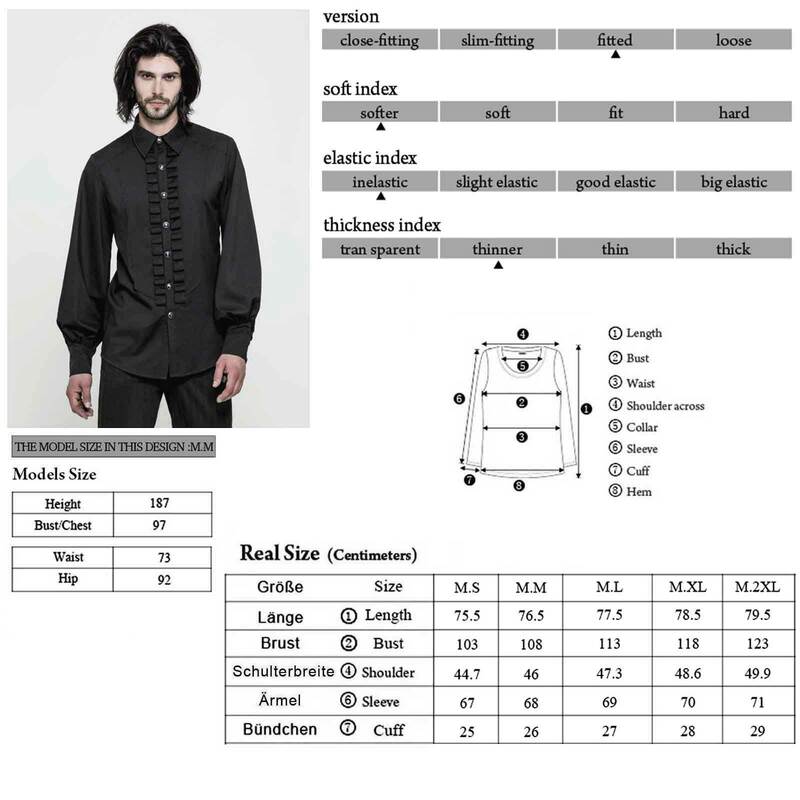 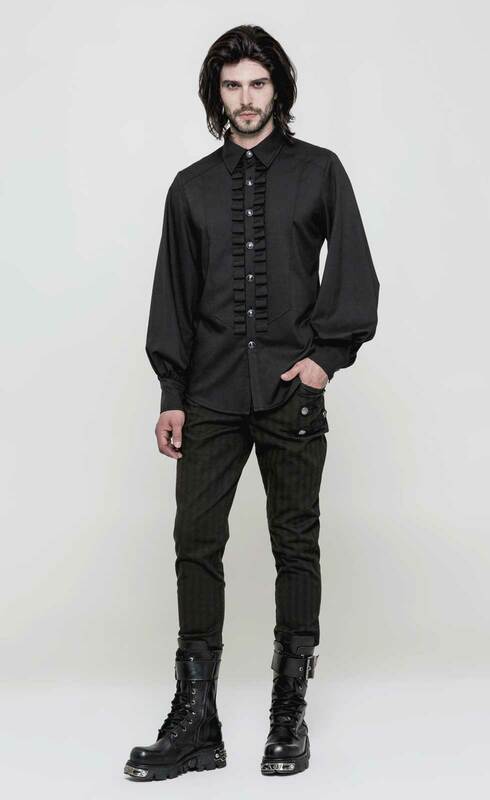 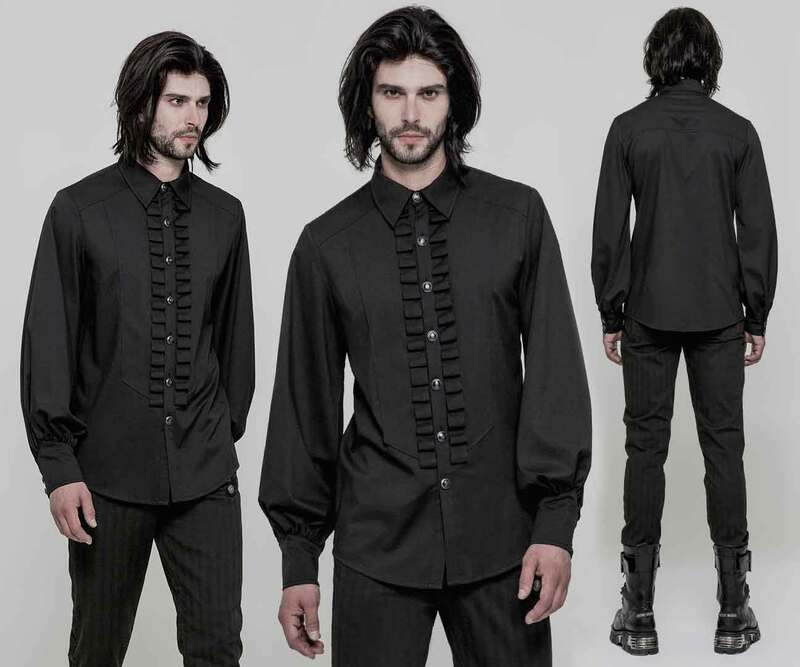 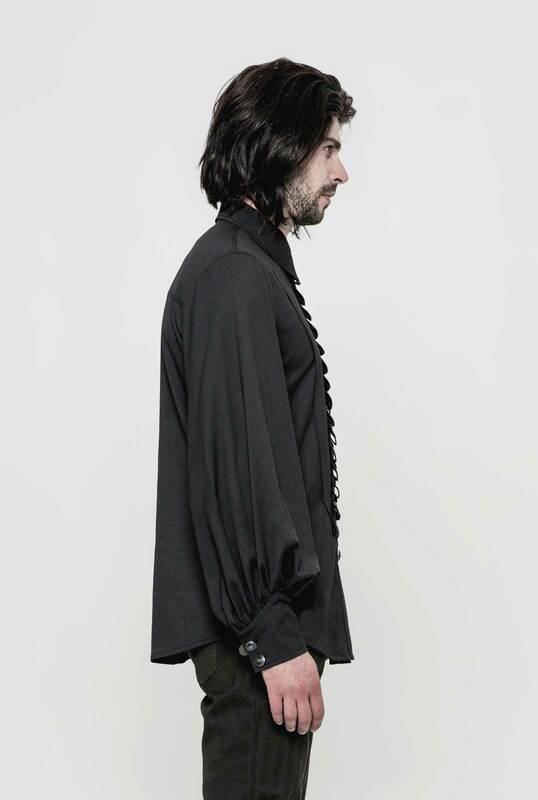 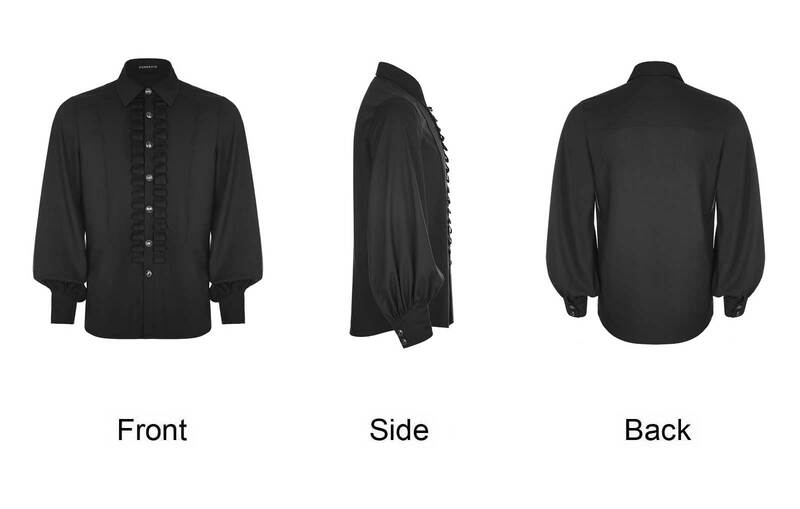 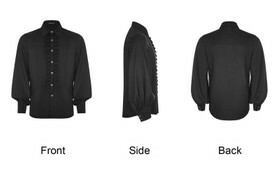 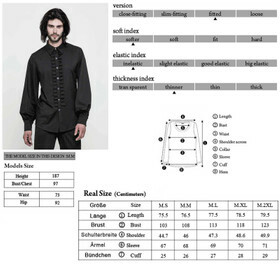 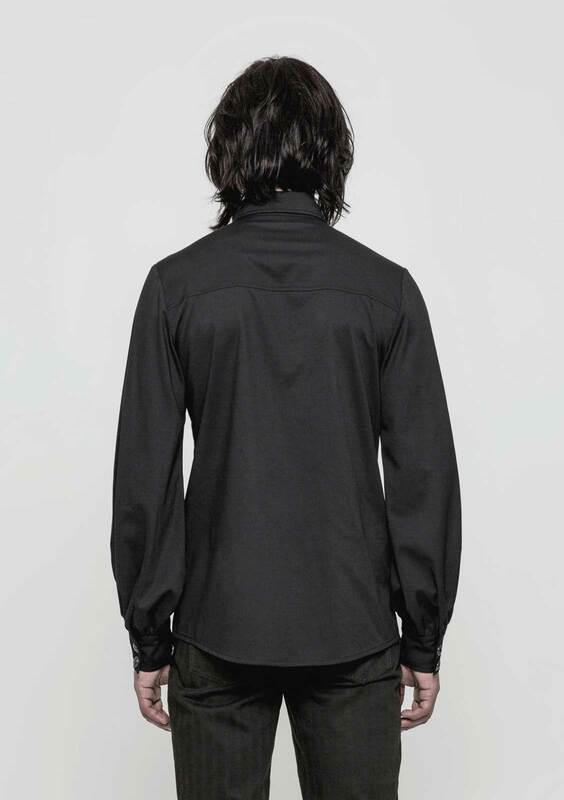 Fine black gothic shirt for men by Punk Rave. 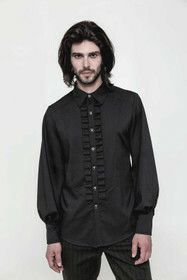 Classic shirt collar, noble button-front, and subtle, wave-like ruffles. Puffy-wide long sleeves with detailed cuffs.